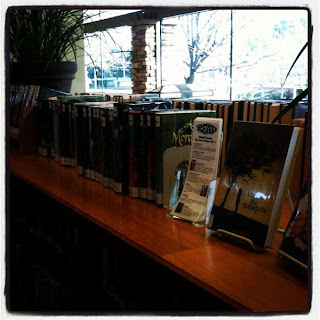 This week, I'm participating in #libday8, which is the 8th round of the Library Day in the Life Project. The Library Day in the Life Project is a semi-annual event coordinated by Bobbi Newman of Librarian by Day. Twice a year librarians, library staff and library students from all over the globe share a day (or week) in their life through blog posts, photos, video and Twitter updates. Allow me to introduce myself for any new readers-- I'm the Teen Services Librarian at a large municipal library in suburban Southern California. We're a busy and bustling library serving a diverse population, and our patrons really value the resources and programs we offer. I love where I work! My position is part-time. As the sole Teen Services Librarian, I serve on the adult and children's reference desks, providing research assistance and readers' advisory. I'm also responsible for ordering all teen books for the library's collection, both fiction and nonfiction. While we've had to cut back on hosting regular events for teens because of budget constraints, my library hosts awesome author events fairly frequently, and I help coordinate the ones for teens. I also run the Teen Summer Reading Program every year. So here's a day in my librarian life from earlier this week. Well, the highlights, anyway! I mean, I could include details about printing 20 new copies of teen book lists, or asking patrons to turn their cell phones to silent, but... really? 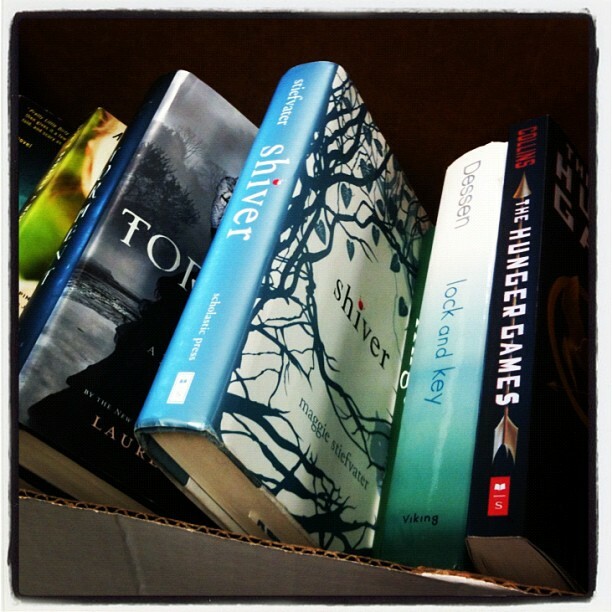 I arrive at work to find a lovely box of donated books on my desk, including a much-needed copy of The Hunger Games. There are currently 73 people on hold for that book at my library, and the list is only going to get crazier as the movie release date approaches. So thank you, kind book donor! I ready the reference desk for the day; make sure everything is in order and all the study rooms are unlocked for patrons. 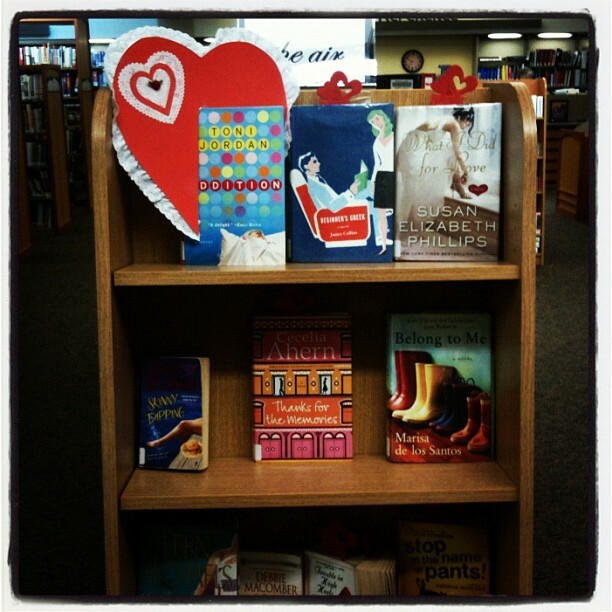 As I'm doing that, I stop to admire the Valentine's Day book display my coworker put together on my day off yesterday. So charming! A stack of new teen books has arrived, so I look over the titles. I don't have time to read every book I order (even though I want to! ), but I always look at each item, scan a few pages to check out the writing style and such. Familiarizing myself with the most recent additions to the collection helps me make better reading recommendations for patrons. I pull older titles from the "New Teen Books" area to make room for the recent arrivals. There are currently almost 400 items in my library cataloged as “New YA,” and only about 70 of them are on the shelf right now. Excellent! That means this section is really doing its job: boosting circulation. When I started this position, there was no “New Teen Books” section. The newest books would just be shelved unobtrusively with the rest of the YA collection. I wanted to create a very visible spot to showcase recent additions so the teens would know where to go for the newest, hottest titles. Thanks to support from my supervisor, as well as the cataloging and processing departments, our "New Teen Books" section is a hit! I set dates and start planning for upcoming Teen events at the library. One of our most dedicated volunteers made a generous donation to be used specifically for youth services, so I'm really excited about the opportunity to host a couple of special programs for teens this year. We’ll be hosting an anime festival this Spring and a National Gaming Day event in the Fall. My mind is spinning with the possibilities of candy sushi, industry guest speakers, and Rock Band. An hour on the reference desk. A patron is looking for Valentine's Day books, but sadly, she's too late... they're all checked out. She's also looking for St. Patrick's Day books, and I'm happy to tell her we have plenty of those. Whew! I hate for anyone to walk away from the library empty-handed. 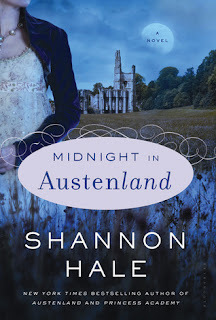 It's rare that I read a book marketed for adults, but this one is written by one of my favorite children's/YA authors, Shannon Hale, and I'm finding it delightful. Back on the reference desk for a two-hour shift. During the early afternoon, the crowd is mostly college students and older. Patrons are looking for business resources, tax forms, and they want to use the internet. Lots of questions about how to borrow ebooks from the library. Everyone got an ereader over the holidays, it seems! Patrons need guidance to find the books they're seeking, so I walk around quite a bit during my reference shift. Good thing I'm wearing my favorite ballet flats today... super comfortable for all this walking, and also sparkly! I am determined to fight the "sensible shoe" librarian stereotype as much as possible. Last hour of the work day: another reference desk shift. Now that school has let out, we have lots of student questions. Middle school students are borrowing text books from our reference collection so they can do their homework. One student is doing a report about the sinking of the Titanic; others need my help finding copies of their assigned reading books in the fiction section. My work day is over. Time to head home to my family! I take off my librarian hat and prepare to put on my mama hat for the rest of the evening. You're so lucky to have gotten a donation of the Hunger Games. I could definitely use another copy. I have 4 copies in circulation but it's not enough. But, I also can't keep buying more. We put out our Valentine's books last week and we were cleaned out within days. This is such a fun post! I've been waiting for Crossed forEVER. Wish my librarian(s) would do like you and order more copies! Your job seems so awesome. Everyone, thanks so much for stopping by and commenting! I appreciate the kind words. Sarah - seriously, it's like we can never have enough copies of The Hunger Games. Beth - have you done a DITL post? I'd love to read one about your life as a teacher. 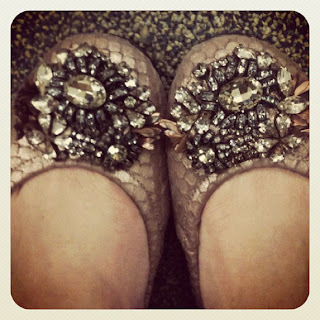 Adrianne - thanks for the compliment on the shoes! They were, like, my DREAM shoes... and then I found them on sale. Heh, I've gotten several donations of Shiver, actually. Great book- I can only assume people got extra copies for Christmas or something! Katie - we're so lucky when we have the budget to order extra copies of popular items... it doesn't always happen, and I know so many libraries are stretched thin these days! I have yet to read Crossed, but am looking forward to it. Jessica - I really do love my job! I needed to make an extremely noticeable spot to grandstand late increments so the adolescents would know where to go for the most up to date, most sultry titles. This is such a fun post! I've been sitting tight for Crossed for Ever like this Need Assignment Help from Assignment Globe. Wish my librarian(s) would do like you and request more duplicates!